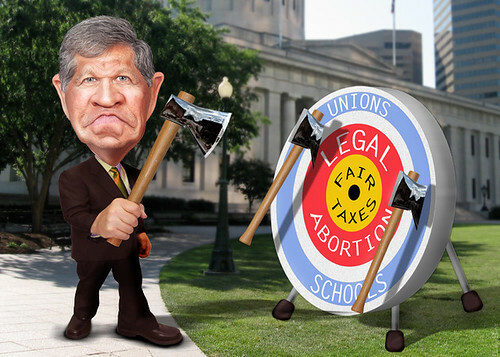 John Richard Kasich, aka John Kasich, is the Governor of Ohio and a former Representative for Ohio's 12 congressional district. This caricature of John Kasich of Ohio was adapted from a photo in the public domain available via Wikipedia. The background was adapted from a Creative Commons licensed photo from Randy Stern's Flickr photostream.